Photo by LORETTA JACKSON Merrimack’s Tom Hanlon, a former Army radio relay specialist with six years of service during the Vietnam era and time in the National Guard, displays some of the produce that he and his wife, Ellie, grow in the garden plots he annually tends at the Merrimack Community Garden. A longtime volunteer there, Hanlon often shares his best practices to help new gardeners ensure a healthy harvest. 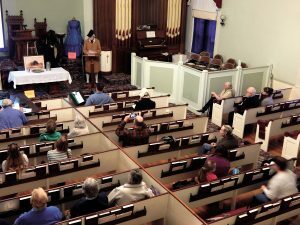 He also has donated each year his plots’ surplus to Manchester’s Liberty House, an agency offering transitional housing to formerly homeless veterans. Last summer, he praised fellow residents at Parker Village, an adult community in Merrimack, for donating additional contributions including packaged foods, canned goods and clothing for the veterans. 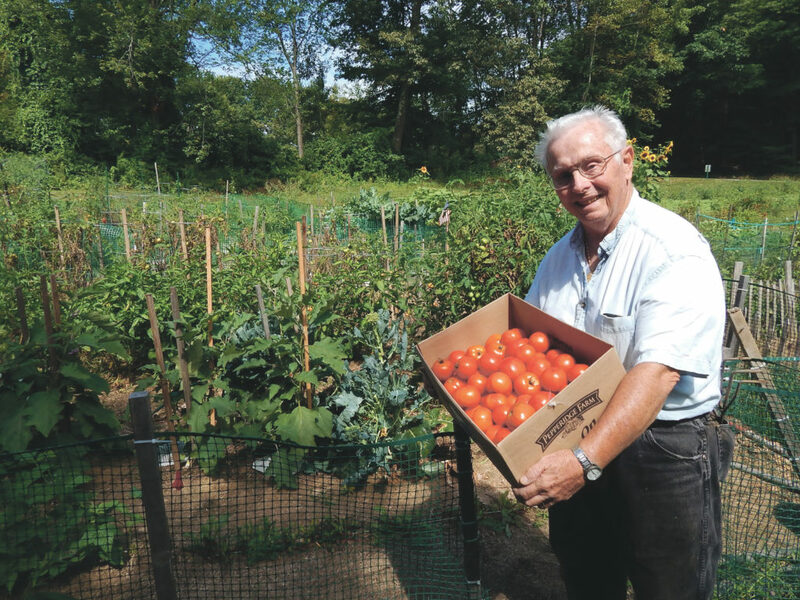 Merrimack’s Tom Hanlon, a former Army radio relay specialist with six years of service during the Vietnam era and time in the National Guard, displays some of the produce that he and his wife, Ellie, grow in the garden plots he annually tends at the Merrimack Community Garden.